When you experience large-scale water damage, your first properties are to stop the leak, then repair. 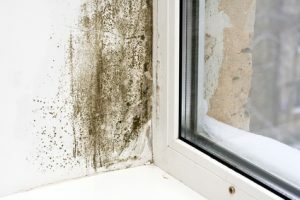 One of the consequences of a sloppy clean up is that mold in the original area could spread to other areas of the home. Technology has improved our ability to control mold but understanding mold (and how it spreads) will help you choose a mold restoration company. Why Is Household Mold A Problem? Mold is one type of fungus- not a plant, animal or bacteria. The microscopic spores and hair-like bodies of individual mold colonies are decomposers of dead organic material such as leaves, wood, and plants. Molds reproduce by means of tiny spores; the spores are invisible to the naked eye and float through the outdoor and indoor air. Water damage can lead to a mold problem when an area in your home offers the perfect mix of three things: moisture, an organic food source, and optimum temperatures. With these conditions, mold rapidly grows and can cause health problems, create smells, and decompose your building materials. Why is mold more of an issue today? Energy-efficient new homes and quality renovations are actually more likely to experience mold because of the way they restrict airflow. Well designed windows, airtight doors, and energy efficient insulation seal your home from bad weather but also seal in your air. When sunlight and breezes are restricted, mold can flourish. Since mold spores are so tiny, it is very easy for them to travel from a water damaged area and establish new colonies in other rooms. You might carry the microscopic contaminants on your hair and body. A physical, contaminated personal item could harbor mold when carried from one room to another. Even computer cooling fans can pull in the spores and toxins and expel them with force into the air and into the next room. An experienced water damage company will take steps to control mold at every opportunity in the clean up process. Depending on the size of the damage, dust containment protocols and negative air pressure may be used to keep the mold from spreading. For larger areas, they might need to seal and secure a larger area. Physical plastic barriers will restrict the area and provide protection for both staff and homeowners. In addition to the airlocks, they might set up an area of negative pressure to prevent the air from inside the contaminated area from escaping. Without the negative pressure, passing through the airlock could carry dust and mold spores into uncontaminated areas. Once finished, they will clean all equipment that was used during the cleanup and sterilize all HEPA filters to ensure that no mold is transferred to future clean up jobs. What else can you do to help prevent the spread of mold spores? Don’t use water to clean moldy surfaces, don’t add more moisture around spores to encourage more growth. Don’t take down the containment barriers before a final inspection. Don’t turn on any interior circulation without external ventilation. Vacuum with a HEPA filter, the spores are spread through the air. Contract with top-notch restoration teams with the newest and most efficient air movers, dehumidifiers, air scrubbers and other tools to contain mold spores. Courtesy Care is dedicated to helping people move forward after a tragedy in their home or business. We provide assistance for both small projects and large floods. In addition to cleaning up the mess, we will do everything we can to eliminate the spread and cross-contamination of mold in your home. Our experienced technicians are also background checked and subject to drug testing to ensure your safety in your home. We pride ourselves on the courtesy and caringness our technicians display, especially during those stressful time. With onsite technicians and our office staff working behind the scenes, we assist you through the complete cleaning and restoration process. For help with your water damaged home in Northeast Oklahoma and Northwest Arkansas, call 877-382-3900.